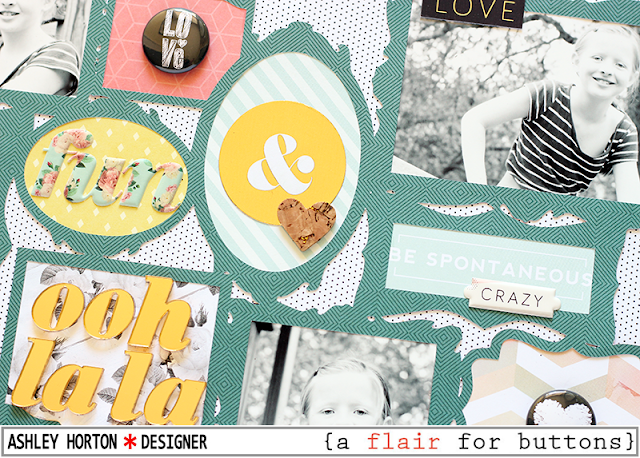 Frames and Flair make a great combo! 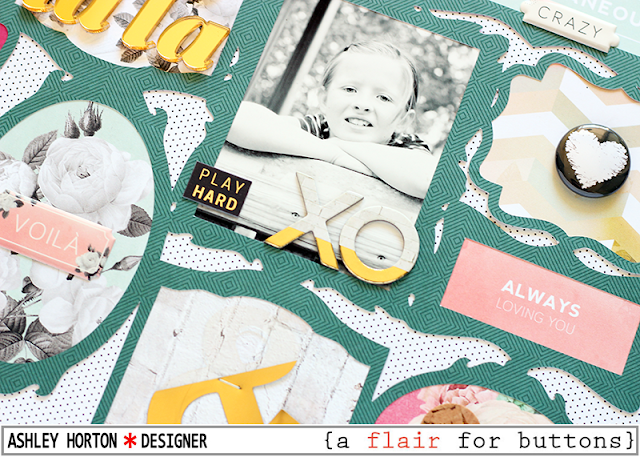 I love using frames on layouts for your photos, and for adding embellishments. I thought it would be fun to use a large die cut with multiple frames and use some of the open spots to add Flair Buttons from the Chalkboard Valentines 2 Flair. 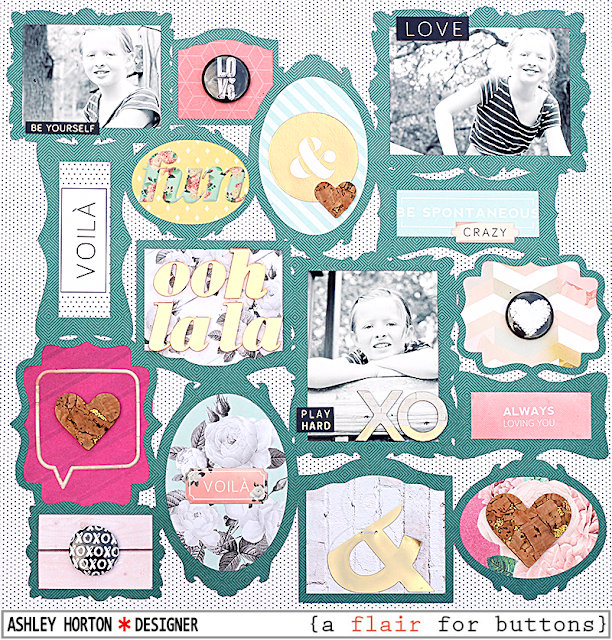 I used the C'est La Vie collection from Pink Paislee for this layout, and I thought the contrast of the Black & White on the Chalkboard Valentines 2 Flair would would work perfectly with the colors from the collection. I had plenty of open spaces to add the Flair inside the frame shapes, so I placed them in a visual triangle. The Black stands out and draws your eye around the page. The die cut frames are also perfect for adding multiple photos and patterned paper. I used the extra frames to add more embellishments from the C'est La Vie collection and I like how they work with the designs on the Flair Buttons. I love to come up with different design ideas every month, for incorporating Flair from the A Flair for Buttons Shop! Check out all of the available sets, and I know you will be inspired to create something fabulous with your Flair!